Hi guys! 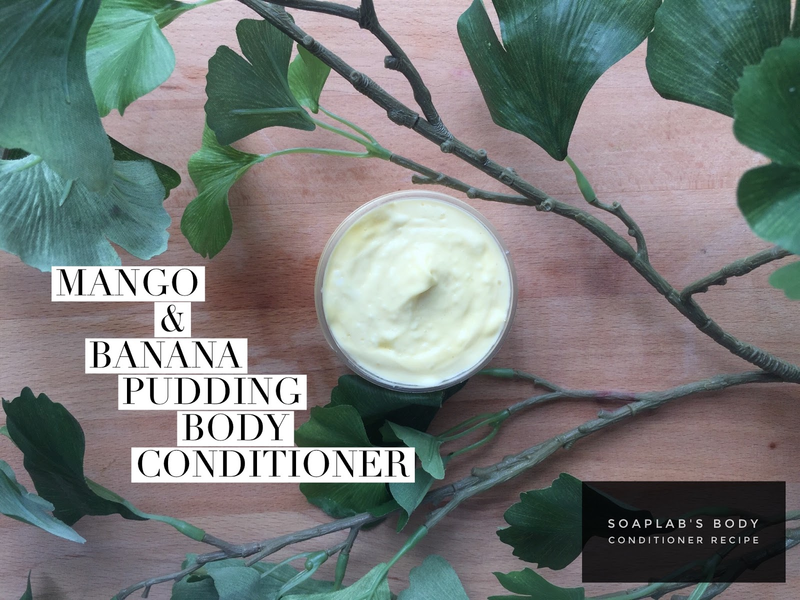 We have a super rich and moisturizing body conditioner for today's recipe. We use nourishing mango butter rich in vitamin A, C and E to protect and prevent aging. We then add some yummy banana extract which is nourishing and moisturizing with high potassium and vitamin A as well. The combo of mango butter and banana extract smells exactly like a creamy fruity dessert you'll enjoy for sure. To amplify this yummy smell we add in some mango fragrance oil too for a rich velvety feeling that will make you feel so good about yourself. Say bye bye to dry skin with this body conditioner! It only needs about 5 minutes on your skin before rinsing and you're ready to go.